The annual Tennis Wales awards have recognised the ‘aces’ of tennis in South Wales – the people and organisations that have contributed most to the sport during the past year. The winners include players, volunteers, coaches, clubs and centres. The ceremony at the Marriott Hotel in Swansea was hosted by TV presenter and tennis enthusiast, Arfon Haines Davies (Saturday January 28th). 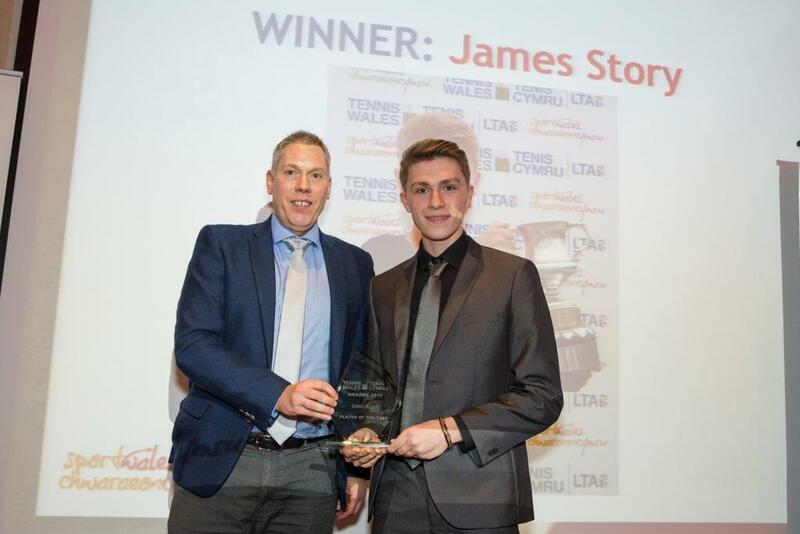 “These annual awards recognise our most dedicated and talented – on and off the court, especially those who make it possible for thousands to enjoy tennis in Wales every week,” said Tennis Wales chief executive Peter Drew. 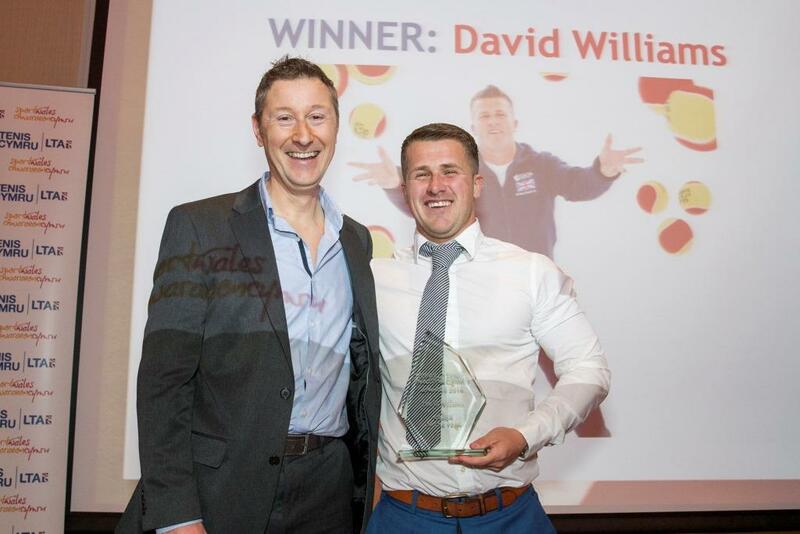 “We were again able to reflect on a very successful year for Welsh tennis – winning the Tri Nations title, hosting the historic Davis Cup Trophy tour, and many individual successes at home and abroad. “Schools tennis has continued to grow in popularity, and tennis is now one of the most popular and most played sports at schools across Wales. In 2016 we also introduced the new ‘School of Tennis’ programme, which is providing a great new opportunity to develop tennis in schools who would not normally be able to offer the sport. “At the same time, membership at our tennis clubs in Wales has grown as has the number of teams playing league tennis. Thanks to courts being available for all pupils to play on during break and lunch time, many pupils competed in school and inter- school competitions. There is also an after-school tennis club and 12 pupils have completed their Tennis Leaders award. 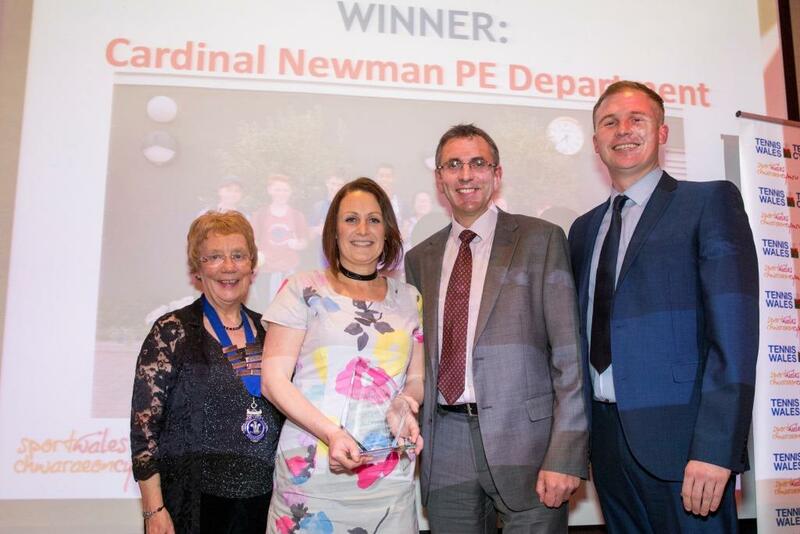 The department also introduced cardio tennis and early tennis delivery. 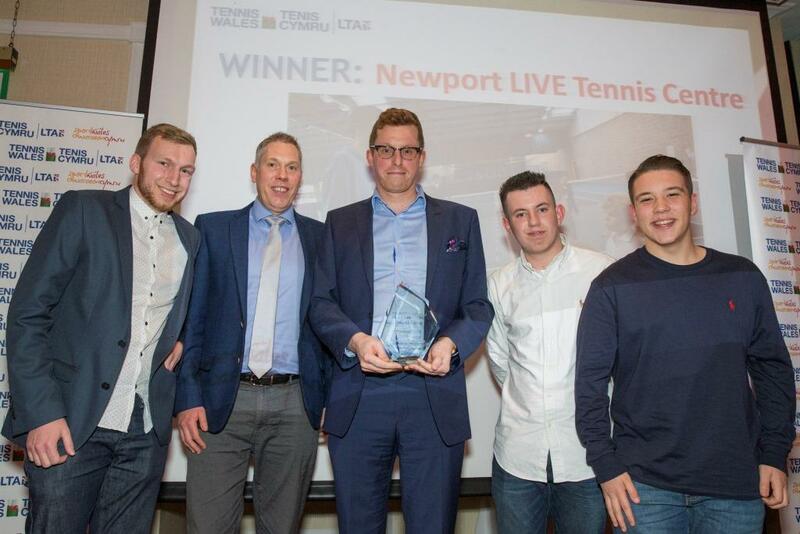 Newport Tennis Centre has undergone a dramatic transformation since its relaunch in 2013, with 334 weekly participants on the coaching programme, delivered by eight dedicated members of staff. There is greater community engagement with regular outreach activity in schools, parks and organised events, and partnership with local retailers. David has grown the junior programme at Swansea Tennis Club to 200 participants, and has developed the adult coaching programme to 70 participants per week. He has also driven innovations such as an awards night, and has increased female participation through national initiatives, and expanded the number of students attending to 100 per week with most of them relatively new to the sport. James won back-to-back ITF Junior doubles titles in Edinburgh and Bournemouth with his brother (and last year’s player of the year) Matthew last summer, which resulted in James gaining his first ITF junior ranking. He made a further breakthrough in October when he reached the semi-final of the U18 Grade 2 event in Bolton, despite being U16 and having to come through qualifying. The team won the division one U14 Aegon League by not losing a match or even a rubber. The team, comprising Samuel Lynn, James Symons-Hicks, Luke Gillard and William Jowett, also designed their own red and black shirts, and have all gained their Tennis Leaders award. Wales held off the challenge of Scotland and Ireland to take the honours in the 2015 Home Nations Tennis Championship in Glasgow. The competition, played across 18U, 14U, and 12U age groups, between Scotland, Ireland and Wales, went to the final round of matches to determine the winner. A memorable year for Rhiwbina saw the visit of both the Davis Cup Trophy, and the then Prime Minister, David Cameron. Rhiwbina also became the first Welsh club to stage a Seniors ITF world-ranking event, involving over 60 players from Wales, England, Scotland, New Zealand and Hong Kong. Membership rose by 25% to a club record 430 due to initiatives such as Tennis for Kids. As the Tennis Foundation’s head of high performance programme for British wheelchair tennis, Geraint (from Cardiff and a member of Lisvane TC) played a vital role in a phenomenal year. In 2016 Gordon Reid won both the Australian Open and Wimbledon titles, and became the world no.1 wheelchair tennis player. At the Rio Paralympics, the Team GB Wheelchair tennis team, led by Geraint, won six medals, confirming that under Geraint’s direction, Britain has become the leading nation in wheelchair tennis. Other winners – Young Volunteer (sponsored by Inspire2Coach) – Jamie Hogg (Mold TC); Volunteer – Nigel Davies (Aberaeron Tennis Club); Disability Programme Award – Wrexham Tennis Centre. Eight of the category winners from the Tennis Wales Awards go through to the inaugural British Tennis Awards, to be presented at Wimbledon in July.